Pope Francis has accepted the resignation of Bishop Leo O’Reilly as Bishop of Kilmore which was offered ahead of his 75th birthday on health grounds. In an announcement on Monday morning, Bishop Reilly said he had tendered his resignation following the advice of his doctor and in advance of his 75th birthday on 10 April 2019. A bishop is obliged by canon law to submit his resignation to the Pope by the time he reaches 75 years of age. Some months ago Bishop O’Reilly, on medical advice, wrote to Pope Francis requesting him to accept his early retirement as Bishop of Kilmore due to ill-health, in accordance with Canon 401, #2 of the Code of Canon Law. Yesterday, a pastoral letter to the priests and people of the diocese from Bishop O’Reilly explaining his reason for resigning was read at all Masses throughout the diocese. The pastoral letter is now available on www.kilmorediocese.ie. Responding to the news, the head of Irish Church, Archbishop Eamon Martin offered his “warm appreciation and very best wishes” to Bishop O’Reilly. “Bishop Leo has remained completely committed to the demands of his episcopal office and he has been unflinching in his service, not only to the Diocese of Kilmore, but also to his many national roles and responsibilities,” Archbishop Martin said. 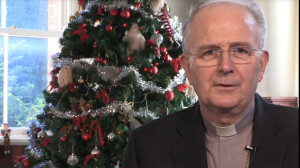 In a statement, Bishop Francis Duffy of Ardagh and Clonmacnois said that for over twenty years Dr O’Reilly had brought “exemplary leadership to the people, priests, deacons and religious of the Diocese of Kilmore”, and he noted his “calm, considered and inclusive approach” which he said “generated a sense of care, direction and stability in Kilmore”. “As a former diocesan secretary working with Bishop Leo, I experienced at first hand his wisdom, guidance and good humour,” Dr Duffy said. Archbishop Martin thanked Bishop O’Reilly for his “insightful contributions” to the discussions at the conference table of the Irish Catholic Bishops’ Conference, as well as for his “warmth and fraternal encouragement to me and to the other bishops”. He said the Bishop of Kilmore’s ministry has been “characterised by a compassionate and pastoral instinct together with a real empathy for those who are struggling with life and faith”. He had been unafraid to speak from the heart, with courage and conviction, on a wide range of issues of concern to Church and society: on behalf of unborn and vulnerable human life, on child safeguarding, social inequality and justice and peace. However, he said his “huge contribution” to Catholic education would be his enduring legacy. He offered his continued prayers in his retirement and said Bishop O’Reilly would be supported by affection of the people, priests and religious of the Diocese of Kilmore. “I wish him every happiness and improved health, away from the demands and worries of administration. Most of all I look forward to our continued friendship in the years ahead,” Dr Martin said. In a statement on Monday morning, Bishop Brendan Leahy of Limerick said that as chair of the Commission for Catholic Education & Formation of the Irish Catholic Bishops’ Conference, he wished to express my best wishes and gratitude to Bishop Leo O’Reilly on his retirement. “Bishop Leo has contributed generously to the Catholic Church’s engagement in education in this country. He has worked untiringly with many others to bring the various stakeholders within the Catholic educational sector into dialogue, and promoted increased co-operation and collaboration,” Bishop said in his statement. The Bishop of Limerick also highlighted that Bishop O’Reilly had engaged with wisdom in the public forum on topics of educational relevance from his many media appearances, to presentations at Oireachtas committees and to the Constitutional Convention on Marriage and the Family. Bishop Leo O’Reilly was born in Corgreagh, Kill, Co Cavan on 10 April 1944. The family later moved to Kilconny, Belturbet. He received his early education in Drumnatrade and Tullyvin National Schools and later in St Patrick’s College, Cavan. He studied for the priesthood in Maynooth College and was ordained in 1969. He was a member of the staff in St Patrick’s College until 1976 when he went to Rome to do further studies. He served on the staff of the Irish College from 1978 until 1980. Having received a doctorate in theology from the Gregorian University in 1981 he was appointed chaplain to Bailieboro Community School. In 1988 he went to the diocese of Minna in Nigeria and later joined the staff of the National Missionary Seminary of St Paul at Abuja. He returned to Kilmore in 1995 and was appointed parish priest of Castletara (Ballyhaise). Bishop Leo was appointed Coadjutor Bishop of Kilmore by Pope John Paul II on 12 November 1996. He was ordained bishop on 2 February 1997. He was installed as Bishop of Kilmore in succession to Bishop Francis MacKiernan on 15 November 1998 in the Cathedral of Saint Patrick & Saint Felim, Cavan. The Consultors will meet on Tuesday morning at 11am to elect a Diocesan Administrator who will be responsible for the leadership of the diocese until a new bishop is appointed by Pope Francis.